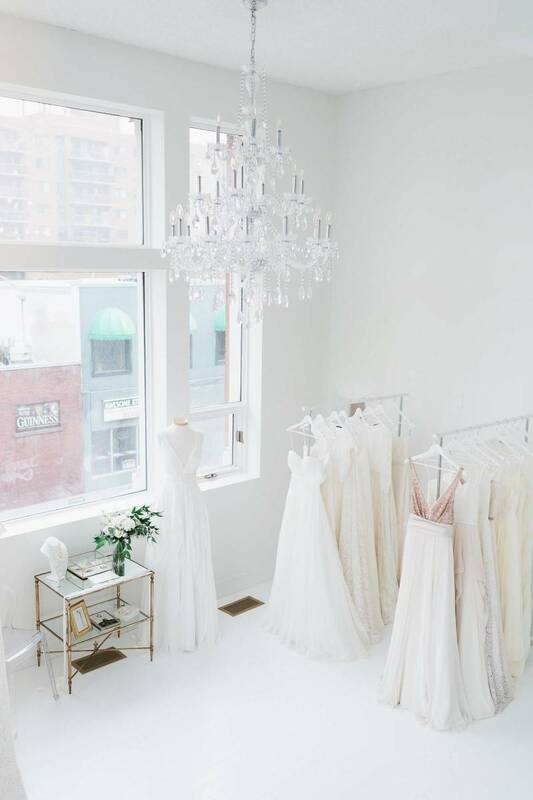 If you haven't heard about the Calgary bridal shop Pearl & Dot, you're in luck because today we're giving you a little sneak peek into their gorgeous boutique! Pearl & Dot opened their doors in Calgary this September and we instantly fell in love with everything about them. Their vision is simple; to provide an intimate and memorable experience for the modern bride and their collections of wedding gowns is incredible. 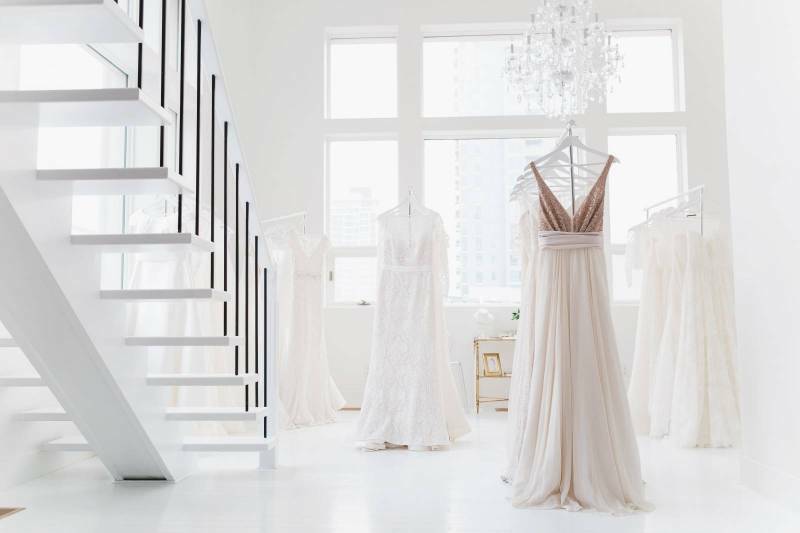 Pearl & Dot carries gowns that you simply cannot get anywhere else in Calgary, the kind of gowns you've been drooling over on Instagram and wishing you had a way to just try one on before purchasing it. 1. It's you and only you at your appointment! 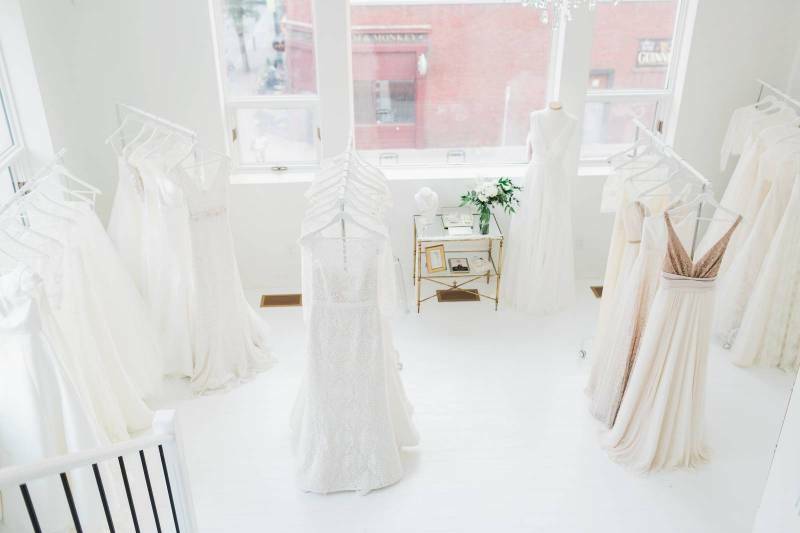 As a Calgary bridal shop, Pearl & Dot has created a unique approach to traditional bridal appointments focusing on creating a custom and memorable experience for each customer. This means you must book an appoinment beforehand BUT you will have the entire space to yourself and there will be know one else trying on dresses or rifling through racks as you have one of the most exciting and emotional moments as you walk out in "the dress" and everyone starts crying. It also means you'll have stellar customer service. 2. Their boutique is gorgeous! Pearl & Dot is located in a really fabulous area near downtown Calgary where they have renovated a loft into the most gorgeous and modern space. It's exciting just walking through their incredible space, never mind, trying on the dresses too. As a Calgary bridal shop, Pearl & Dot has strived to set themselves apart bringing in exclusive lines to Calgary, and often into Canada. 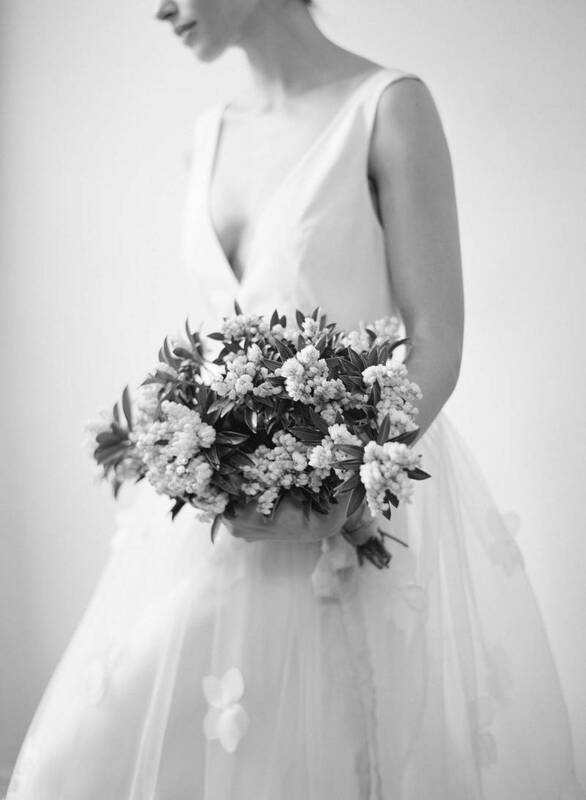 Each and every wedding gown they carry is chosen specfically by their owner and is absolutely breathtaking. A few of the lines they carry include Alexandra Grecco, Truvelle, Theia, Anais Anette and many more! If you haven't found your dress make sure you go check-out this incredible Calgary bridal shop and support local! 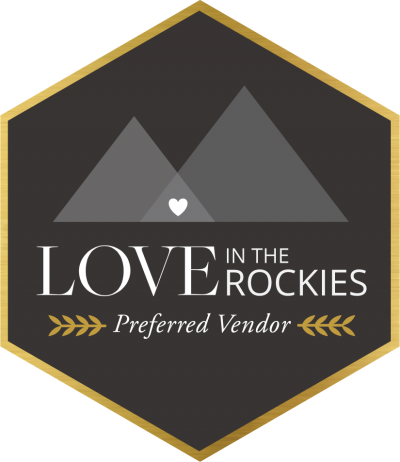 It's a beautiful store founded by a real bride who recently went through planning a wedding in Calgary and the entire dress shopping experience. We've been completely smitten by their kindness, style and love of providing the best experience ever and we're pretty sure you will be too!